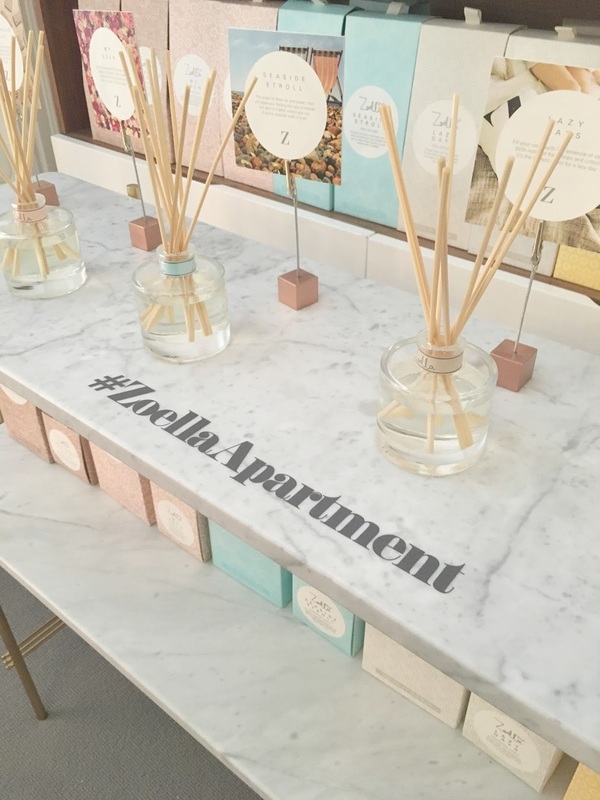 It's a Tasha thing: Itsatashathing: Zoella Apartment trip! So I was lucky enough to win tickets for the Zoella apartment! I can honestly say I had a lovely day and everyone there was so nice. We had arrive for 11:30am which was our given time slot. We had a lovely welcome at the door and were given a lovely sticker to put on. We were sent through and had to wait outside the apartment door (which looked lovely decorated with the Zoella door mat and door sign). We stood there for a matter of seconds when we were called in and given a brief overview of the apartment. Once there we had an hour to walk around the apartment at our leisure. We started off in the bedroom. When we walking into the bedroom my first thought was how relaxing the atmosphere was. Everything just looked so cosy and the bed with all the cushions on just looked ready to be dived on and snuggled into. In the bedroom was a range of different products. 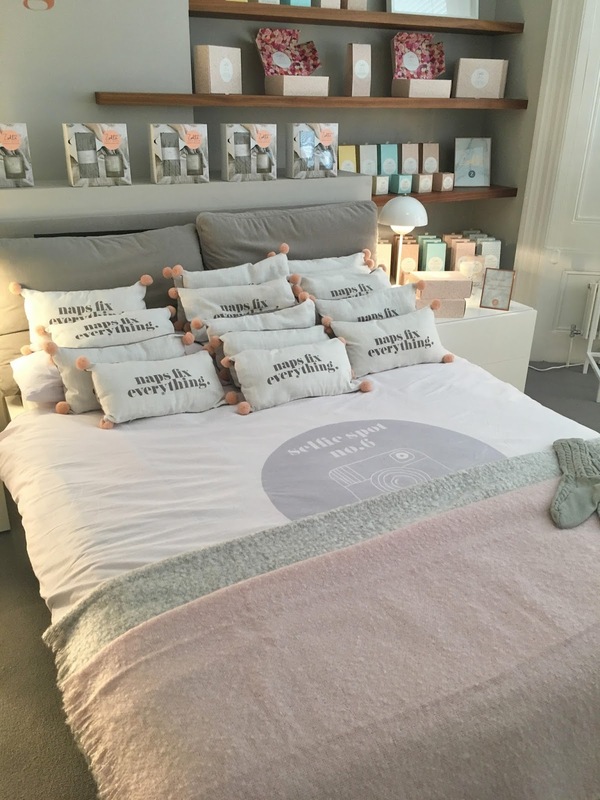 There were the cushions with the quote 'naps fix everything'. These looked amazing and I need one of these because the quote couldn't be more right. These are priced at £12, which for the cushion is a brilliant price. There were also candles and reed diffusers that were displayed nicely. The candle were in lovely bell jars with a tag on saying 'open me'. I loved this touch I found it very Alice in wonderland-esque. 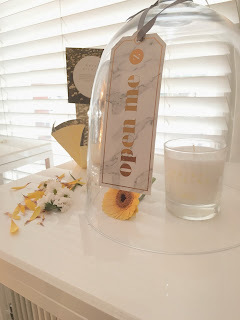 The candles I believe will be £10 each, which I think is amazing and they smell so good. My favourite was Lazy Days. They come in the scents: Lazy Days, Daisy picking, My Eden, Seaside Stroll and Gingerbread Village (exclusive to Superdrug). 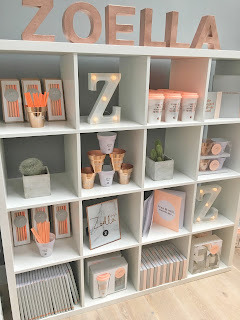 As I am not a big fan of candles (as I am scared of fire), I was so glad when Zoe had announced she had reed diffusers in her range as well. 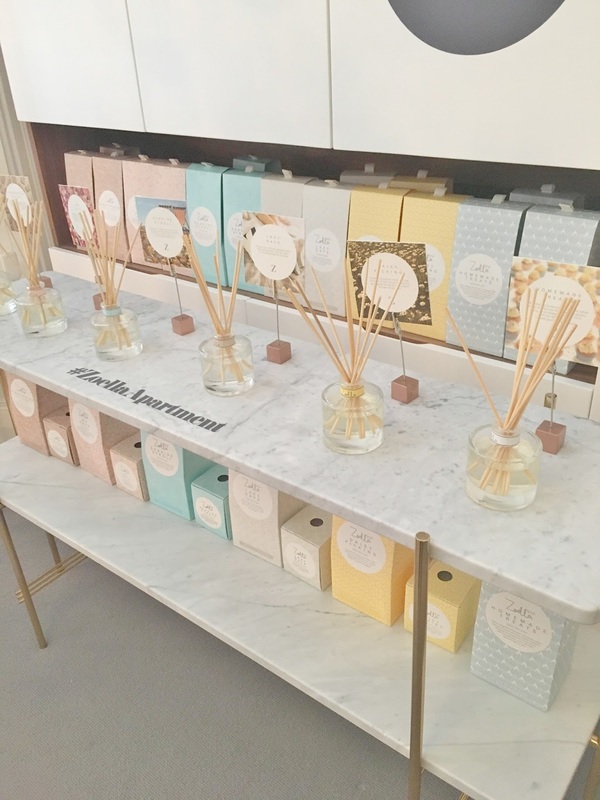 I know when a lot of people bring out new ranges they just bring out a candle, so I did a little squeal of excitement when she announced the reed diffusers. I also believe these will be £12, which again is an amazing price! I honestly had a hard time picking a favourite scent but if I had to pick it would be Lazy Days and Homemade Treats. They come in the same scents as above (Gingerbread Village again exclusive to Superdrug) but with the addition of Homemade Treats. You can also buy gift sets of the candles and reed diffusers. One gift set is the Lazy Days and sock gift set (if I liked candles I would snap this up quick), the socks are lovely and I could imagine wearing these on a lazy Sunday or under some boots in the winter. This has an RRP of £15. 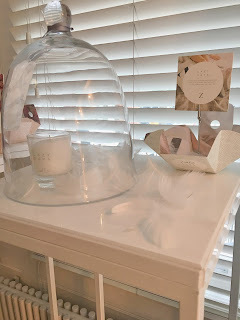 There is also a My Eden reed diffuser and candle gift set this has an RRP of £20. 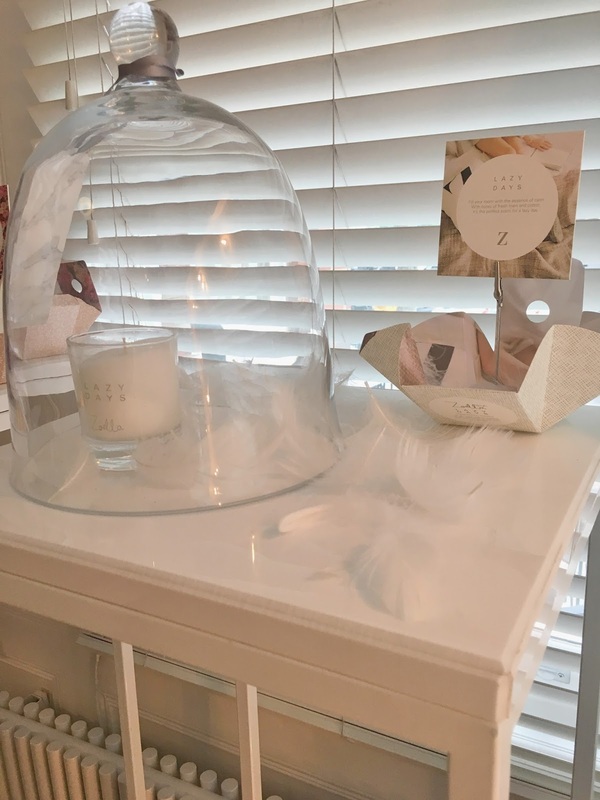 The last gift set for the candles and reed diffusers is the candle duo gift set containing Daisy Picking and Seaside Stroll with an RRP of £18. The next room we entered was the bathroom. The bathroom was lovely and even had a Zoella bathtub. 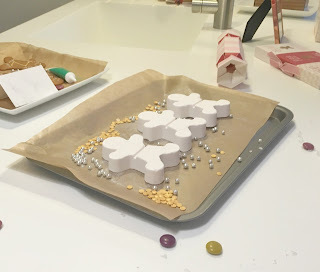 I haven't included the pictures of the bath as I don't think my boyfriends sister would appreciate being plastered over my blog. However, in the bathroom there were a few different products including the 'hand on heart' hand sanitizer (RRP: £3.50), 'pretty polished' sugar scrub (RRP: £7), 'Scooper Dooper' foaming bath soak (RRP: £7) and 'wonderous whip' body cream (RRP: £8). There was a little label next to the products saying 'try me'. 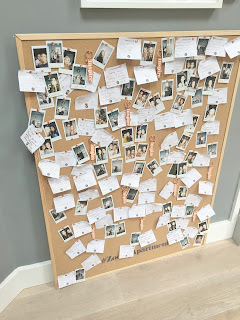 I had a smell and a go of the products and they all smell amazing. They don't smell to overpowering either which can be off putting when buying bath products but these have the right balance to them. We then came out of the bathroom and into the living room and kitchen area. In there was a wide array of products from the Christmas range. The question on my mind in these rooms was 'what don't I want in here?!' Everything was amazing and the layout was wonderful. Being in this room really put me in the mood for Christmas. The first thing I came across was the table with the lip balm duo on (RRP: £6). One smells like gingerbread and the other of vanilla, one you use to soften your lips and the other adds sparkle to your lips. You could also test these out, the formulation of them was lovely! There's nothing more I can't stand and that's a really sticky lip balm, which is what these aren't. 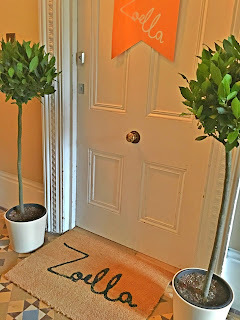 There was so much to do in this room I even got a hand massage with the lovely gingerbread hand cream. We then went to decorate gingerbread men which got us feeling really Christmassy! 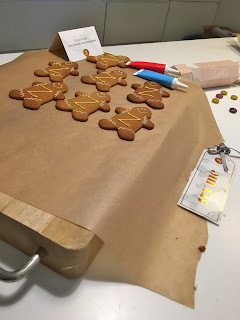 On the kitchen side was some pre-made gingerbread men with 'z' iced on them alongside the 'Gingerbread Fizz Trio' RRP: £8, which I think is amazing value considering you get 3 and can break them in half to get 2 uses out of one. Also in the kitchen were the jars of 'Spa in a jar' which I didn't manage to get a picture of but they looked amazing! These have an RRP of £10 and would be perfect as a gift, secret Santa or a stocking filler. In a little jar were lots of little notes rolled up with a ribbon around them as a message from Zoë. I haven't opened mine yet, I'm saving it for when I need a little pick me up. After the Kitchen we went and had a seat on the sofa where I had my hand massage done with the lovely hand cream. 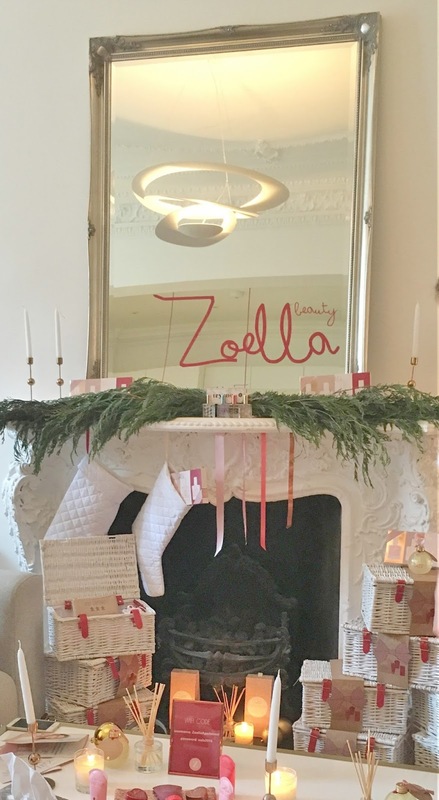 We sat in front of this beautiful fireplace which had the amazing pamper hampers surrounding it (RRP: £50 exclusive to Superdrug). Also on the table in front of us the 'Gingerbread Village' candle was burning and can I say smelt amazing! Along with the 'Deck The Baubles' bubble bath RRP: £6 and the 'Hungry Hands' gingerbread hand cream RRP: £5.50. 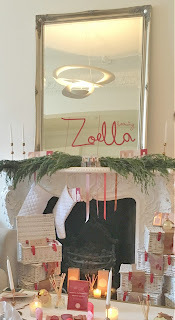 Up on the wall were a set of shelves beautifully displaying some more of the Zoella Beauty Christmas Range. Top shelf: 'Best chums' coin purse RRP: £14. Second shelf: 'Secret Santa' miniature collection including 'Blissful Mistful', 'Let Spritz! 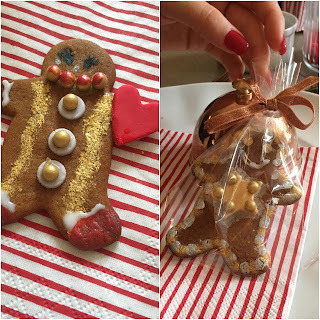 ', 'Sweet inspirations' and 'Bake my Day' RRP: £16. Middle shelf: 'Gingerbread Fragrance Set' including 'Ginger cream' body cream and 'Bake My Day' perfume RRP: £12. Bottom shelf: Lip Balm Duo RRP: £8 and 'We 3 Beauties' cosmetic purses RRP: £18. 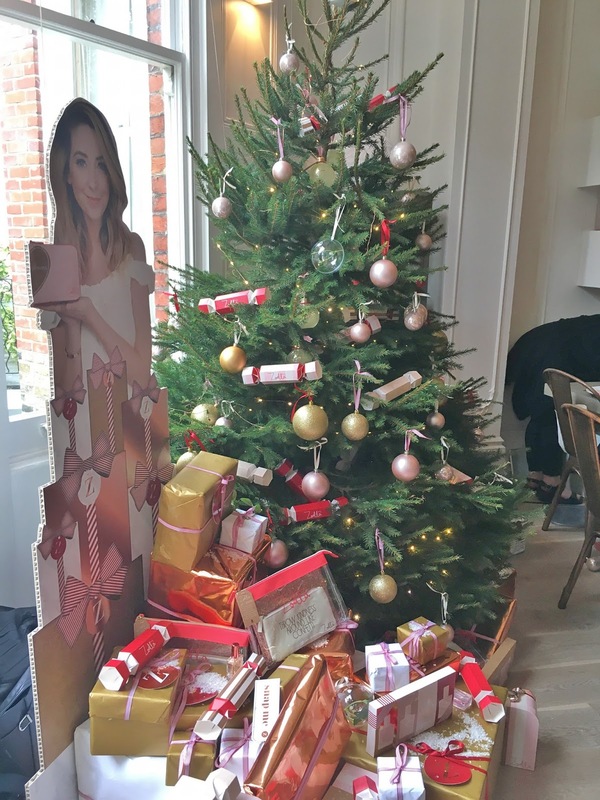 In the corner of the room was a lovely Christmas tree decorated and surrounded by the Zoella Beauty products. On the and around the Christmas tree (just mentioning products I haven't already) were the 'Just Crackers' containing a miniature gift RRP: £12 and 'Lets Go Places' gift set RRP:£25. On to the next room: the office. The office looked lovely! 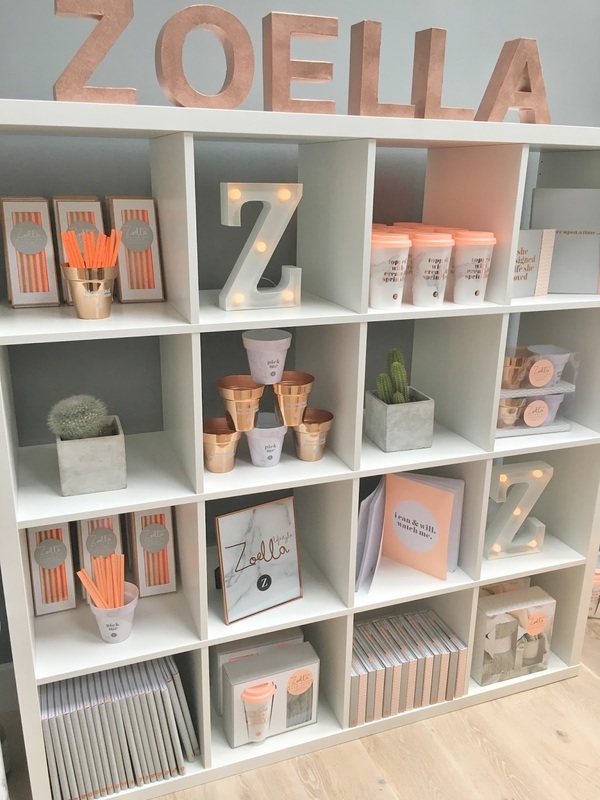 Along the back wall was a unit displaying all of Zoë's other Zoella Lifestyle products. Again, I want everything. Top (Left to Right): 'Write On Point' pencils set of 5 RRP: £5, 'She Designed A Life She Loved Organiser' everyday diary RRP: £10, 'Once Upon A Time' journal RRP: £14. Second Shelf: 'Pottering Around' storage pots £10. Bottom Shelf: 'Warm hands, Warm hearts' travel mug (quote 'Topped with cream and sprinkles' I definitely need this) and fingerless gloves set £14 and 'Lazy Days' candle and sock gift set £15. 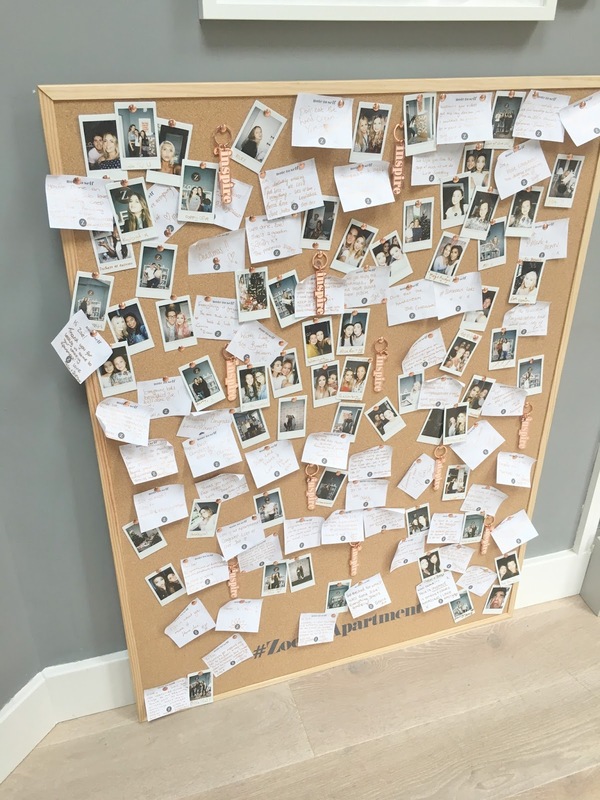 Up against the wall was a pin board where you could write a message and pin a photo for Zoe. On the pin board was her beautiful 'The Key To Inspiration' keyring RRP: £6. So our hour was up. It went super quick, I waned to stay in there for ages. In fact I wouldn't mind living there. On exit we were given a signed tote bag with the quote 'She Designed A Life She Loved'. 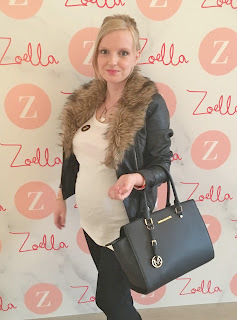 This is what Zoë's done for us designed a life to love. 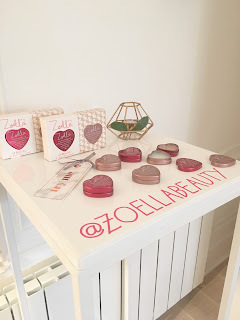 Zoella beauty available in Superdrug stores and on Feel Unique. 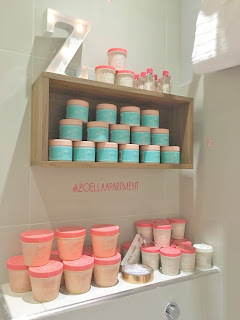 Zoella Lifestyle will be available in Superdrug, Boots, Debenhams and Waterstones. P.S Keep sending your questions in to myself and Dion here. Remember anything you ask is kept anonymous.